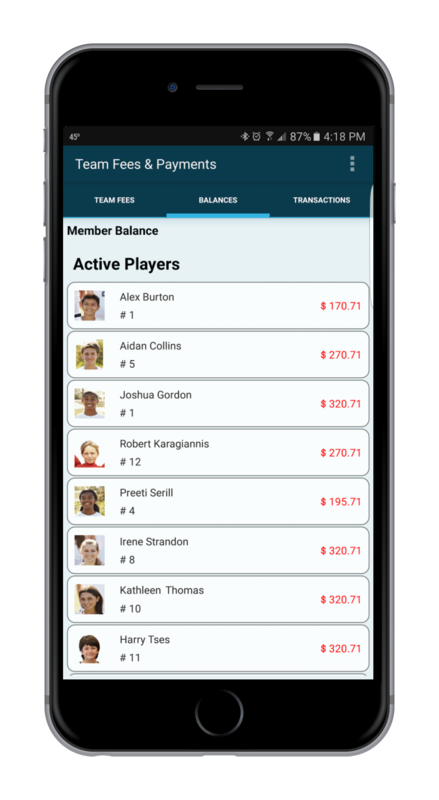 Easily add team fees and let the system calculate the amount each member owns. 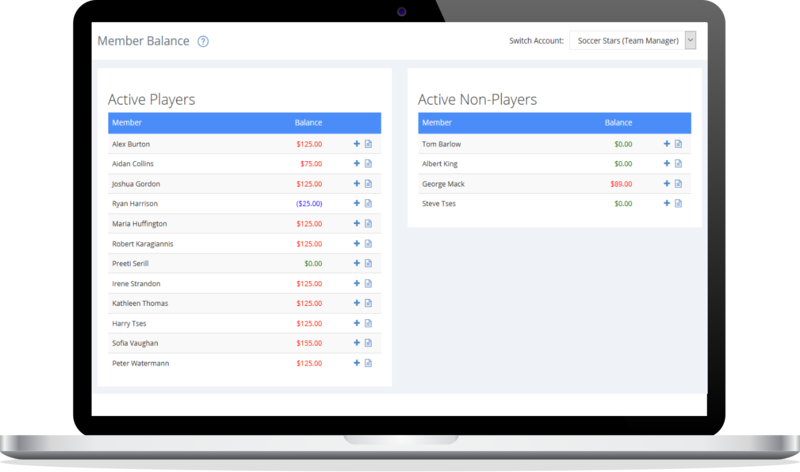 Team Fees can be applied to all or only a few team members, even guest players. Members can pay for team dues online using a credit card (offline also). Check how much each member owes in a single page. All team fees, payments (online or offline) or charges are listed and balances are calculated automatically.